Kayla Paruso knew that customer service was paramount to the success of Kayla’s Blooms. That was the only thing that kept her smiling at Mrs. Vance, who came into the shop every week with a complaint. The elderly woman had been widowed only a year ago and Kayla figured if nitpicking about floral arrangements kept Mrs. Vance going, then so be it. “You know, in Europe it’s considered bad luck to give mums. They’re funeral flowers!” Mrs. Vance’s dentures clicked as spittle flew from her mouth. “I didn’t know that. Thanks for letting me know. Please do feel free to pick out a vase.” How her voice stayed so upbeat was beyond her. Her older sister, Melody, had told her it was the way she’d spoken since childhood—always sounding as though she was excited and happy to see the person she was chatting with. Mrs. Vance walked over to the shelf of vases, the heels of her stylish shoes tapping on the hardwood floor Kayla had sanded and re-stained two years ago, before she opened Kayla’s Blooms. The lights were bright and her eyes were painfully dry after almost fifteen hours in the shop. It was time to call it a day. “I’m glad you were here to deal with her.” Jenny, her assistant, spoke quietly behind Kayla. Her hands flew as she pulled off florist paper and wrapped bouquet after bouquet of fresh flowers, finishing each with a colorful spring bow. The Passover and Easter holidays kept them working around the clock and Kayla was grateful for every order called in. Kayla smiled but ignored Jenny’s comment. Jenny was still in college, and spent three of her weekdays commuting to school, working for Kayla on the other two, and filling in as needed. She was allowed to have her opinion. It would be too easy to tell Jenny how much her life would change over the next few years. It was in those years that Kayla herself had realized she wanted to build a life with the permanence she’d never had as a child. Her young life was spent moving around with her government-employed parents. Starting a new business right out of college hadn’t been an option but her patience had paid off as the flower shop was all hers. And so far, it was operating at a profit. 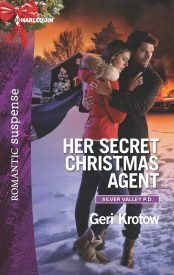 Her cell phone vibrated in her apron pocket and she reached for it, her interest piqued when she saw the caller ID. “Gloria, what can I do for you?” The Silver Valley mayor’s wife, Gloria Charbonneau, was a new addition to her client list and could bring in an untold number of orders if she spread the word about Kayla’s quality product. Kayla found the woman a bit high-strung, but couldn’t really fault her—her husband had become mayor in a quickly thrown together election when the previous mayor of Silver Valley, a suburb of Harrisburg, PA, had been indicted for embezzlement. And it was a charge that Kayla didn’t believe one bit. She’d worked with Mayor Donner over the past two years and found her to be a locally grown politician who knew the area and its people, and did her best to get things done as needed. Amelia Donner was well-known in Silver Valley and many of the locals were still very upset at her sudden expulsion from office. Not to mention their wariness about the slick man who took her place, Tony Charbonneau. Mayor Donner had been a quintessential politician but she wasn’t a criminal. But apparently Kayla’s opinion didn’t stand up to the courts that were still working to put the former mayor behind bars for her alleged crimes. “This isn’t about my usual order, Kayla. I need something bigger, and soon.” Gloria Charbonneau’s “usual” was a white centerpiece with seasonal flowers and a touch of color, depending upon the month and her mood. Replaced weekly, it was part of the standing-order list that was the backbone of Kayla’s shop. Last week’s color choice had been black. Gloria preferred a contemporary style with a generous helping of gaudiness thrown in. There was a long pause and when Gloria finally spoke it wasn’t with her usual conviction. “Of course.” Her older sister had used the venue three years ago, and her yoga friend, Zora, had mentioned it as a possibility for her upcoming wedding to an SVPD detective. The same guy Kayla had tried dating with no luck. Followed by another cop she was still trying to forget, months later. 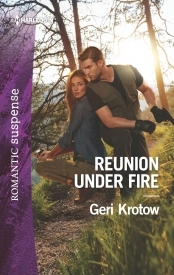 But Rio hadn’t been just another cop, another date. They’d had something special, or so she’d thought. Until she’d realized how dangerous his job really was. She needed stability, not constant worry that her life’s partner would be killed in a shoot-out. Always the florist, never the bride. And that was what she wanted, she reminded herself. “That’s what I do, Gloria.” As she spoke soothingly to the woman known for her perfectionism Kayla’s mind raced with all that would need to be done between now and next Saturday. On top of the Easter weekend. She’d be decorating a wedding as she ignored the sad state of her own love life. “Cynthia doesn’t know what she wants yet, in terms of a theme. I’ve asked my husband if his assistant can get some photos of the venue for me to use to brainstorm before I meet with you.” Kayla wondered why Gloria wasn’t using her own administrative assistant, whom Kayla had spoken to many times about floral deliveries. Kayla allowed herself a quick fist pump and a wink at Jenny. “Do they want pastel eggs in the arrangements?” Jenny held up one of the thousands of pale lavender, pink, yellow and blue floral picks she’d placed in arrangements over the past few days. “I want this vase.” Mrs. Vance held a large crystal-cut vase that she’d found on the top shelf. Kayla had all but forgotten about her sweet but persnickety customer. If only all of her customers could be made happy with a simple vase. Kayla locked the shop’s door almost an hour after Jenny left, two hours past closing time. The night air felt good on her cheeks. Warmer than inside, where she had to rely on refrigeration and air-conditioning to keep her stock fresh. She was going to have to run into the Port of Baltimore to pick up flowers for the wedding next week. It might even have to be an extra drive added onto her usual pickup. Jenny couldn’t do it due to her class schedule, and Kayla still hadn’t hired a much-needed additional assistant. Soon, after the madness of the holiday weekend, she’d get on that. She felt buoyed up as she calculated the shop’s revenue. Last year she’d feared the shop wouldn’t last another six months, but the recession seemed to be lessening and people were still falling in love, getting married and dying. Funerals were a big part of her business and she appreciated the chance to be of comfort to grieving families and friends in their times of need. Her florist van smelled of blooms and mud, a combination she loved. The van’s purchase had been one of her smartest business decisions and she’d spared no expense, from the refrigerated back area to the up-to-date dashboard, which she used now to place a hands-free phone call. “Hello?” Rob Owings, the owner of the Weddings and More Barn, answered on the first ring. His chuckle made her smile. “They’re willing to pour a lot of money into a short-notice affair.” She knew the deposit had to have been hefty for the three hundred guests they planned on. “Yeah, I thought that was a little weird, but I’m not complaining.” Rob had three kids, one in college, and had lost his wife to a drunk driver two years ago. Kayla had done the flowers for her funeral and also attended. Instead of driving toward the small subdivision where she lived, she turned right and headed out of town, toward the farm fields that surrounded Silver Valley. The moon was a crescent against the star-spangled night sky, the edge of sunset still on the western horizon. Kayla could get sucked into work and not step outside for hours on end, but deliveries and special events like this kept her out and about. A worm of guilt crept into her serenity and she let out an exasperated breath. 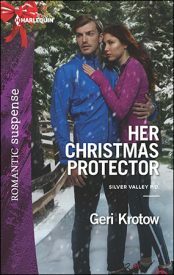 Ever since last Christmas, when she’d delivered a bouquet of flowers to Zora, not realizing they were from a serial killer, her mind had been on overdrive. It was too easy to think that the rumors about the new mayor were true—that Tony Charbonneau was some kind of criminal who’d found a way to get rid of the previous mayor and get himself elected in short order. Even if the accusations against the previous mayor proved false, it didn’t mean the new mayor was anything but lucky or extremely ambitious. Perhaps a bit of both. And his wife had high-end tastes, which at times bordered on eccentric, usually in response to the most recent episode of her favorite reality television series. She’d even send Kayla a video clip of one of the shows, demanding that her bouquets have the same shape. Kayla liked how her unique requests kept her on her artistic toes. It was easy to fall into the routine of everyday arrangements, and Kayla wanted to offer her customers something they couldn’t find anywhere else. The barn was dark but the LED light at the side entrance flooded the area as if it was daytime. Kayla was familiar with the building since she’d provided flowers for several weddings and graduations here over the past few years, first as a freelancer, taking contracts and storing flowers in her garage and kitchen refrigerator, and then after the shop opened, she’d been able to handle more volume. The barn looked forlorn and dark in the spring night. Rob usually left a couple of lights on inside, on timers, but with his other job managing a dairy farm, he had his hands full. It was easy to let something small slip his mind. Kayla knew the feeling all too well. Like how they’d put the most colorful aster blooms, normally more available in the fall, in Mrs. Vance’s bouquet, when Kayla knew darn well that the woman would see them as plain old mums. She hadn’t been expecting Mrs. Vance to label them harbingers of death, however. Her van bounced up the worn path through the field beside the large white barn and she winced as she hit a deep rut. She pulled off the muddy path and onto a dry patch of dirt. Better to walk a few hundred yards to the barn than risk wrecking her van in the dark. Spring thaw had a way of turning the hard clay soil of South Central Pennsylvania into thick, sucking mud not dissimilar to the mud fields she’d seen in the Netherlands as a child. Back when Dad had worked at the Hague and Mom had taken long hours away from her job as a private contractor to take Kayla and her siblings, Melody and Keith, on long sojourns through Europe. Her favorite had been in the tulip-growing region of the Netherlands. Holland had opened her nose and her eyes to the brilliance of bulb flowers, from hyacinths to parrot tulips. She hadn’t been happy as a child unless there was dirt under her nails from helping her mother plant rows and rows of bulbs, seeds and rose bushes. Her parents had indulged her when she proclaimed she was going to be a florist and own her own shop. They’d breathed an audible sigh of relief when she’d been accepted to Penn State and majored in horticulture. They assumed she’d end up in research. Instead her passion for dirt and flowers grew. But instead of being streamlined like a standard Dutch tulip, she’d behaved like the sprawling parrot tulip with its petals fall haphazardly, spreading her interests into the cultivation of hybrids while running her own florist shop and design studio. As she killed the engine she thought she heard something high-pitched above the regular shutting down noises. She paused. The van was only eighteen months old and she was so not in the mood for it to be in need of repair. She prayed the rut hadn’t ruined her front-end alignment or jiggled anything else loose. Forcing away the annoying thoughts, she got out and her feet immediately sank into the squishy mud. Her bright fuchsia rain boots kept her feet warm and dry. She clomped through the mud, selecting the key to the barn by feel from her key ring. It had a large soft cushiony frame around the top. She walked past a sedan, and wondered if someone else was here. “No! You can’t do this—” A woman’s voice, loud and strident. A gunshot, punctuated by a woman’s scream, sounded in the still night, rooting Kayla to the spot. She had heard something high-pitched a few moments ago. Screaming. The sound of items crashing inside the barn unfroze her feet and her mind with them. The van was too far away for her to make it there, start the engine and drive off before whoever had fired the gun would know she was there. She ran to the side of the barn, ducking low from the view of the side door. The door’s window glowed with the kitchen’s bright fluorescent lights. She made out the bulky figure of a man through the slatted blinds but couldn’t risk taking a closer look. Not if she was going to be of any help to the woman whose screaming she’d heard. That gunshot and scream hadn’t been like in the movies. It was real, scary as hell, and she knew she could be on the receiving end of a bullet if she didn’t play this right. Crawling on her knees to avoid detection she squeezed between a tractor pull and a pile of hay bales. She worried that her van was too far down the drive and too much in plain view of anyone who left via the driveway. Did the shooter own the car she’d walked by? She wanted to run for it and drive away but she couldn’t risk the noise of her engine starting. Her logo was emblazoned on the van, making an anonymous getaway impossible. It would be a siren call to whoever had fired that shot to come after her, too. Shivers wracked her. From shock or an adrenaline rush, she had no idea as she hunkered down and willed herself to be one with the damp squishy ground and prickly hay bales. She pulled her phone out of her pocket and quickly dialed 911. 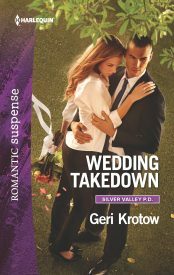 Detective Riordan Ortega pressed the gas pedal to the floor as he sped along the farm road that led to the Weddings and More Barn. Rio wanted to get to the call before the other SVPD units made it. He liked to be the first on the scene to any major crime in town. It had nothing to do with who’d called in the gunshot, and everything to do with his instinctual sense of the ticking clock when it came to crime. The sooner he got the investigation underway, the better chance of catching the culprit. Silver Valley had always had its share of crime but lately things had been different—busier than he’d ever experienced since joining SVPD a decade ago. They’d just wrapped up the “Female Preacher Killer” case last December, only to be involved full-time in the embezzlement case against the former mayor. Tying up the loose ends on three murders by the serial killer had occupied all his time, and he’d been grateful that the Treasury Department had come into play for the mayor’s case. Because of the embezzlement charges and large amounts of money at stake, the Secret Service had been alerted and then pulled in their former boss, the US Department of Treasury. 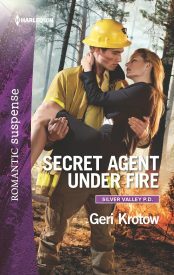 Secret Service was under Homeland Security these days but Rio still worked with many of the agents he’d met when he’d started on SVPD. Rio loved his job and knew he was good at it, but making sense out of columns of numbers wasn’t something that turned him on. She’d called in the emergency. A shoot-out right now, so close to the mayor’s daughter’s wedding, was too suspicious for Rio. Mayor Charbonneau and his gang of thugs were trouble, and had been since they’d arrived in town, coincidentally at the same time as the newest Silver Valley residents, who were trying to set up a cult on the outskirts of town. Rio didn’t believe in coincidences, not when it came to criminal behavior. 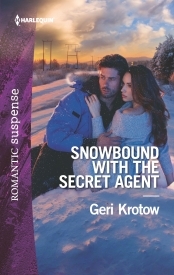 “What’s your ETA, Rio?” The dispatcher spoke in his ear. Mother of God, please let her be okay. Keep Kayla safe.